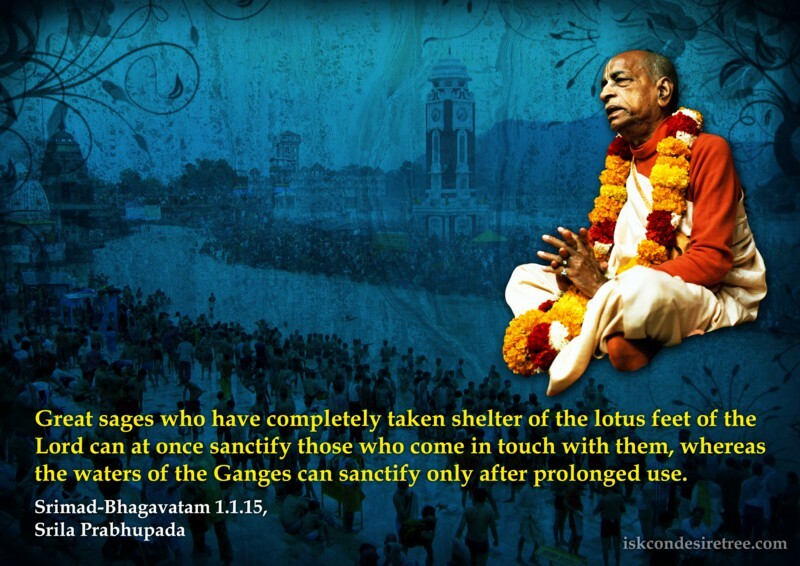 Great sages who have completely taken shelter of the lotus feet of the Lord can at once sanctify those who come in touch with them, whereas the waters of the Ganges can sanctify only after prolonged use. 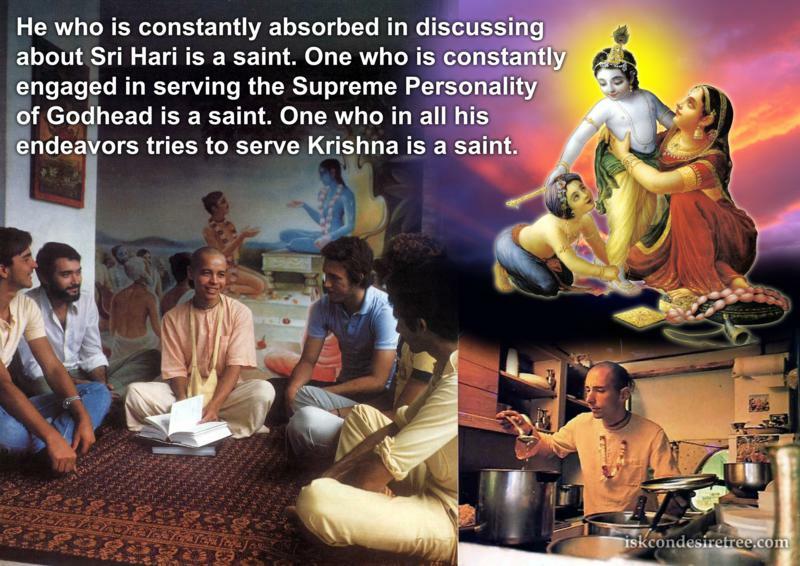 He who is constantly absorbed in discussing about Sri Hari is a saint. One who is constantly engaged in serving the Supreme Personality of Godhead is a saint. One who in all his endeavors tries to serve Krishna is a saint.